For decades, internal test results were hidden from the public. The first talcum powder lawsuit was filed by a spa worker in Jefferson County, Texas in 1997. The plaintiff ultimately dropped the claim when she was unable to get J&J to release the documents she requested. “When you are the plaintiff, you have the burden of proof. We didn’t have it,” said Darlene Coker’s attorney, Herschel Hobson. Fast-forward to present time. There are over 10,000 talcum powder lawsuits pending in court. A number of talcum powder lawsuits have succeeded in court so far. Rutter Mills attorneys are accepting claims nationwide from women who believe their regular use of talcum powder caused (or contributed to) their ovarian cancer diagnoses. Who is eligible to file a talcum powder ovarian cancer lawsuit? Simply using talcum powder over a period of years is not enough to warrant the pursuit of damages through civil courts. However, if you or a loved one used talcum powder frequently and have recently been diagnosed with ovarian cancer, there may be a link. In 1971, researchers discovered that 75 percent of the ovarian cancer tumors they examined contained talc particles. A decade later, a Harvard study identified a 30 percent increased risk of ovarian cancer in women who routinely used talcum powder for feminine hygiene. Internal memos show Johnson & Johnson executives knew of the potential risk associated with their product as early as 1997, but felt the risk was too low to justify warnings or product discontinuation. One theory is that the talc powders enter the female reproductive tract, where they cause an inflammatory response, thus making the growth of cancer cells more likely. You used Johnson & Johnson baby powder or Shower To Shower. You used the product for purposes of perineal dusting or feminine hygiene. You used the product consistently – even daily, for years. You were diagnosed with epithelial ovarian cancer, which is most closely linked to talc use. You are within the statute of limitations for your state. The statute of limitations for filing a personal injury or product liability lawsuit differs from state to state. In many states, the statute of limitations is two years from the time of injury (your cancer diagnosis). However, all the facts in this case are just now coming to light, so you may not have made the connection between your talc use and your cancer diagnosis. Fortunately, many states allow for “delayed discovery,” meaning that the clock starts ticking once you know or should have known about the link between talcum powder and ovarian cancer. 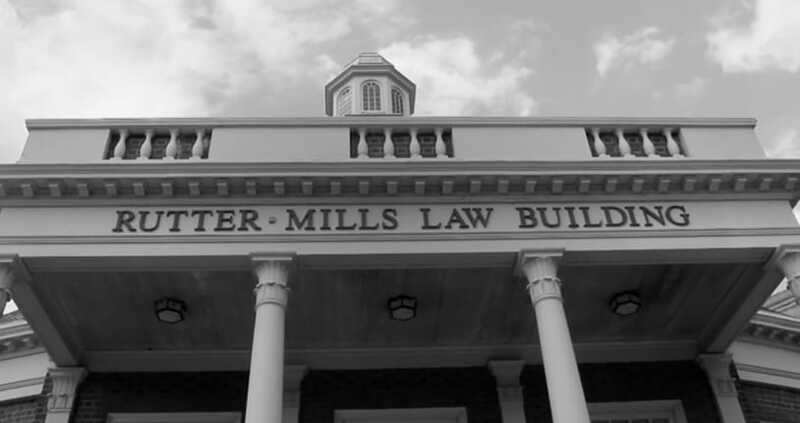 Please call Rutter Mills as soon as possible to discuss how the statute of limitations pertains to your case. 2016 – $72 million jury award in St. Louis to the family of a California woman who died from ovarian cancer. 2017 – $417 million to a Los Angeles woman with terminal ovarian cancer, diagnosed in 2007. 2017 – $110 million to a Virginia woman diagnosed with ovarian cancer in 2012. 2018 – $4.69 billion to 22 Missouri women with ovarian cancer (including six decedents) and their families. This is not to say these lawsuits are a slam-dunk. Many cases have been thrown out of court for “insufficient evidence” and rulings overturned if the proper protocols were not followed. For this reason, it is important to work with a legal team that is familiar with talcum powder lawsuits specifically. If successful, you may receive compensation to cover past, present, and future medical expenses, lost wages and loss of earning potential, emotional pain and suffering, and punitive damages on top of all that. Survivors of loved ones who passed away from ovarian cancer may receive a monetary award for wrongful death, funeral costs, burial expenses, emotional pain and suffering, loss of companionship/guidance, and loss of income. Contact Rutter Mills to speak with an attorney who is handling national talcum powder lawsuits. Our experienced personal injury attorneys offer consultations at no cost to you. In fact, we only accept payment for our services if we win a settlement or jury award on your behalf. If your case is unsuccessful, you owe us nothing. There is nothing to lose and everything to gain by exploring your legal options if you are in the process of dealing with a cancer diagnosis.